Attorney Jamie J. Pagac is a partner with the law firm of Kim & LaVoy, S.C. Mrs. Pagac is an experienced criminal defense attorney and known throughout the criminal justice community for her determined, yet common sense approach. She has achieved hundreds of successful results in courts throughout Wisconsin and has a work ethic second to none. Mrs. Pagac has represented clients in all types of felony and misdemeanor cases such as drunk driving, drug offenses, domestic violence, sexual assault, and homicide. She is also skilled at litigating juvenile matters, probation revocation hearings, restraining order hearings, and mental health commitments. Mrs. Pagac has been a member of Kim & LaVoy, S.C. for almost her entire career and has dedicated herself to safeguarding people’s rights. She has proven to be a formidable advocate while providing compassionate counsel to people in the criminal justice system. 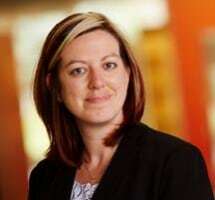 Mrs. Pagac is a graduate of Marquette University Law School and is an active member of numerous professional organizations such as the Wisconsin Association of Criminal Defense Lawyers, the Milwaukee Bar Association, the Waukesha County Bar Association, and the Washington County Bar Association. Mrs. Pagac is admitted to practice law in the State of Wisconsin and the United States District Court for the Eastern District of Wisconsin. In her leisure time, Mrs. Pagac enjoys being active outdoors, as well as spending time with her family and friends.